The UXV 700i LE Hunter is a feature rich upgrade from the 700i LE model. 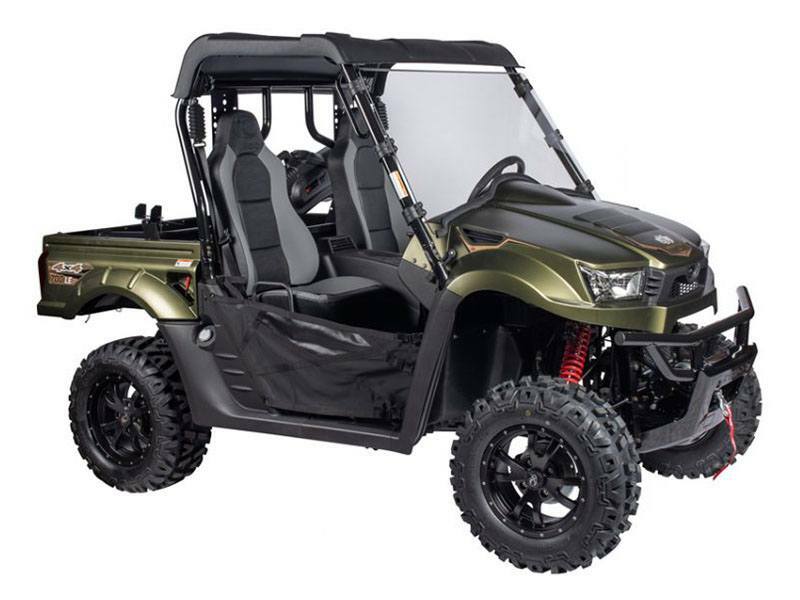 Equipped with all the items needed for work and play – a hard top, windshield, bed extender and gun boot and mount. Tackle the ever-changing landscape without worrying about having enough storage or losing gear. Bed Extender / Gun boot and mount.